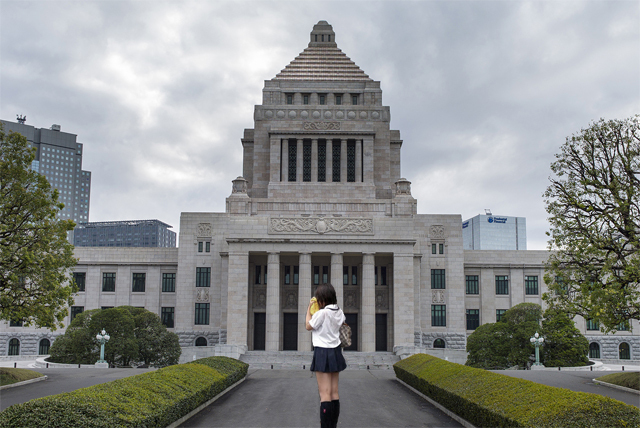 NAGATACHO, TOKYO — The National Diet has appointed its first middle school-aged Prime Minister, 13-year-old Itou Nanami. Nanami attends Kojimachi Junior High School when she is not busy leading the executive branch of government. She had been a member of the Diet for a year before starting middle school and was appointed to the cabinet’s top position two days ago. Magical Witch Dojikko-chan is a young vigilante who has appeared recently to fix various problems in local neighborhoods. It is rumored that this magical young lady is Nanami in disguise, but these rumors have yet to be verified. Nanami agreed to be interviewed for this report, but when the subject of Magical Witch Dojikko-chan was broached, she turned bright red, covered her face and ran out of the room yelping.